TAMPA, FL--(Marketwired - Dec 5, 2013) - Excess fat can be difficult to get rid of for many individuals, including those who lead healthy lifestyles, according to Dr. Jeffrey Hunt of the Vein & Cosmetic Center of Tampa Bay. In an effort to address this concern, Dr. Hunt recently conducted a study to track the results of combining two fat reduction techniques -- Cryolipolisis and Acoustic Wave Therapy (AWT). The results of the study showed stunning improvements compared to patients who had CoolSculpting® (Cryolipolisis) without AWT. Dr. Hunt says he combined the two treatments in an attempt to decrease the time needed to generate results, as well as to test the possibility that it may yield an increase in total fat reduction. Following the first month of the study, Dr. Hunt noted that patients who received AWT after a CoolSculpting® procedure saw a decrease in fat that occurred twice as fast as the fat reduction seen in his control subjects. To conduct the study, Dr. Hunt followed the progress of patients receiving a CoolSculpting® procedure. Half of the patients in the study were given traditional massage following Cryolipolisis treatment with CoolSculpting®, while the other half were given AWT treatment immediately following the Cryolipolisis treatment. The patients who received AWT were also asked to return for four consecutive weekly treatments of AWT. Each week during the study, all patients included in the study were weighed. Using ultrasound, the patients were also measured to document the reduction in thickness of the fat layer in the treatment area. Well-known for his extensive training and research in the field of medical aesthetics, Dr. Hunt is considered by many to be a pioneer in the treatment of venous disease. His work includes conducting FDA clinical trials to bring Intense Pulsed Light (IPL), hair removal, and resurfacing lasers to the United States. By conducting his study on Cryolipolisis and AWT, which was recently published in Prime Journal Europe, Dr. Hunt says he hopes to improve the process and results, to the benefit of doctors and patients alike. According to Dr. Hunt, the study is now being used by other physicians as protocol for this procedure. He says he will continue to seek other opportunities to advance technologies and techniques in the medical aesthetics field. About Jeffrey A. Hunt, D.O., R.V.S. Vein specialist Dr. Jeffrey Hunt is a graduate of West Virginia School of Osteopathic Medicine. He is the Medical Director of the Vein & Cosmetic Center of Tampa Bay. Dr. Hunt is a Fellow of the American Society of Laser Medicine and Surgery, a Diplomat of the American Board of Venous and Lymphatic Medicine and is actively involved in several prestigious medical organizations and societies. Dr. Hunt is available for interview upon request. 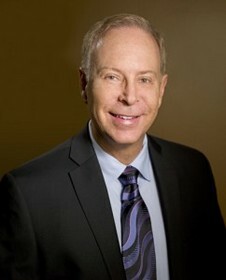 To learn more about Dr. Hunt and his practice, please visit veincentertampa.com or facebook.com/veincentertampa.